This entry was posted in Medicine and tagged Doctor nurse relationship, doctors, Intensive Care Unit, Life of a nurse, nurse, nurses week, nursing, nursing article, sacrifice. Bookmark the permalink. Thanks Mr.Dharmaraj. I appreciate your sincerity and beautiful thought about Nurses. I feel like I myself is in your story. I am a retired nurse at 68 yrs old. Happy Nurses day. Wow! Thank you! I can’t tell you how proud your piece made me feel to be a nursing student about to embark on that very same journey you described. You made me cry 🙂 Nurses are wonderful, amazing and very special creatures and it’s wonderful to see them recognised as being so. A beautiful piece of writing and the truth of nurses life. I have been a nurse for four years and i am still proud to be one. Thanks doc for writing your beautiful thought of nurses. How I wish everyone really understand life as a nurse isn’t easy. all nurses and doctors who read this… share it to everyone u knew =) this is the most beautiful piece describing nursing that i have read so far. its beautiful ! Thank you, thank you, thank you. I could cry over this, someone out there gets this! 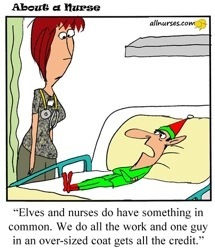 From all nurses everywhere suffering quietly, thank you! Thank you so much. To be appreciated makes one feel valued, and you sure made me feel valued today from a nurse of 40 years. Bless you. Thank you so much doctor..really appreciating your writings about nurse’s life. People often forgets what nurses did for them…well some treats their nurses as their maid too. Once again thank you doctor. Thank you for showing your appreciation and being mindful of how hard we all work for our patients, it is most certainly a team effort. At a time when a career change seems like the best option for balance, I am reminded of why I am so exhausted but also why I love my work. This brought tears to my eyes! Thankyou for your beautiful words, you’ve really made me feel valued. My mother was a staff nurse, n im touched by ur article. I am also forever indebted to the nurses who patiently taught n helped me when i first started as a houseman 10 yrs ago..Perfectly written raj. Thank you for your article. Dr. Dharmaraj. Perfectly written the life of the nurses since my self also be a nurse for 25 years. currently as a Nursing tutor to nurture young nurses. Before that I used to share knowledge and do the teaching for newly graduate houseman in Operation Theatre and Infection Control. Hope all of them will be like you appreciate nurses. My 3 children’s study medic ,So hope that one day when they graduate will be like you love the patient and appreciate the nurses.Working together hand in hand for better quality care and love toward human being.God bless. I personally appreciate your article for nurses and I am gratefull to the administration of the hospital where my daughter and her companions are nurses for taking care of them. May your article be a call to some administrators, immediate superiors of some nurses that they be given just compensation, worthy treatment, and respect as person and human beings. thank you so much. What a great article. I am a general practitioner. And have been practicing for many years. One thing which is very true is that nurses are not appreciated enough for the work they do. Without the nurses I worked with during my housemanship I would have never completed it. I still maintain contact with the nurses I worked with years ago. To all new doctors treat your nurses well, with dignity and respect and you will be rewarded with lifetime friendships. Great article. Again, may I print this to share to our nurses. absolutely amazing. well done. just today as I walked by the AnE I spotted the nurse who pretty much bullied me into inserting my first canula as a medical student and gratitude whelmed up in me. they truly are an amazing lot when they manage to fit into the Florence nightingale standard. It was so kind of you to share these thoughts. I am a nurse and i got hard times more than the good ones most of the time. But the thoughts here in your blog and the everyday feeling of making someone feel special or cared for are the best returns of being a nurse. I may always be thinking why i choose to be one, everyday of my life. But i will always be so grateful that God made a nurse out of me. Thank you so much and God bless. Please let me share this beautiful blog with my colleagues. Thanks. Thank you for your kind comments. Please feel free to share this post to as many nurses as possible so they know that they are loved and appreciated. I am impressed by your complete understanding of what nursing profession is all about. I have been a nurse for so many years but haven’t encountered any body from the health care team/group who has this deep insight as to what is involved in this noble profession. I have even often sensed from some people that this “job” is not good enough for their children to consider. Thank you for respecting us. What you wrote almost brought me to tears, doc. Why, thank you! Being a nurse really is a noble calling. We need to be compassionate, patient, empathetic, careful and caring, all of these in addition to being smart, skillful, knowledgeable, quick thinker, flexible and resourceful, and also let’s not forget we need to have great stamina, good ducking and blocking techniques, strong but tender and skillful hands, and especially, the most important of all, we need to love the profession. While this blog supports nurses it does not critically outline or discuss the myriad of technical tasks nurses perform in a complex icu or ward. This actually makes us seem more handmaiden than ever as opposed to degree and masters educated specialist nurses. just because the really important consultant or registrar is busy does not mean that nurses as the main staff in a hospital should be orienting doctors! You have demeaned us more by only selecting all the “dirty” tasks we perform. You don’t discuss the assessments of that great icu nurse of her patients and all the diagnosis she made as she was only following doctors orders. It’s no wonder administrators think nurses are replaceable with untrained staff if this is the only window in which the profession is presented. Yours sincerely. What a great writings. I love it. Reading this makes me smile & very happy. Of all our hardships, it’s very remarkable that there is someone who understand & appreciate our efforts & sacrifies. God bless you always & all the health professionals. This rather brings me to tears; brings me a lot of memories. I knew all of these but it’s different when somebody words everything out and you found yourself realizing a lot. Responsibilities are pretty linear but these experiences give us the avenue to be great persons. Thanks Doc! Thank u very much for appreciating us nurses. U make us inspired to give more quality care to our patient. Being a nurse is both an honor and responsibility. I love my profession. But I wonder if the doctor who appreciates us so much will ever raise a question about the disparity between nurses and doctors salary!